The so-called ‘middlemen’ in the US pharma supply chain have blamed big pharma for skyrocketing drug prices in the country, as the Senate Finance Committee grilled them over the deals they strike with drugmakers. 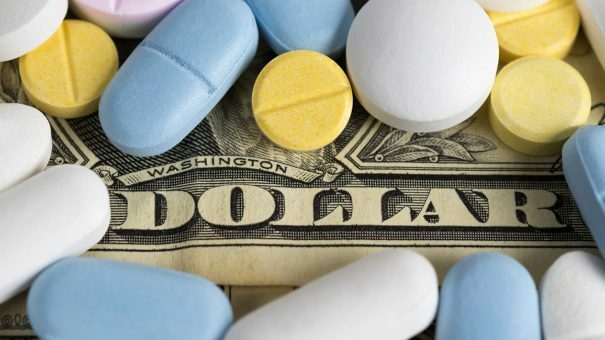 Executives from the country’s largest pharmacy benefit managers (PBMs) – CVS Health, Cigna, Prime Therapeutics, Humana and UnitedHealthcare’s OptumRx – appeared before the Committee as drug pricing in the US becomes an increasingly heated topic, with legislation likely on the horizon. It is the third such hearing after the bipartisan committee, led by Republican chairman Chuck Grassley and Democratic senator Ron Wyden, heard testimony from top pharma manufacturers and patient representative groups. The executives of companies including AstraZeneca, Johnson & Johnson, Merck, Pfizer and Sanofi blamed PBMs for pocketing the discounts they negotiate with companies instead of passing them onto patients. Summing up the claims, Wyden said: “Today the committee will be told a thousand different versions of the same talking point: ‘We’re all about getting the best possible price for patients’. But there won’t be actual proof. But at the hearing the PBM leaders denied these claims. They also said that pay-for-delay and evergreening tactics by pharma companies were a major part of the problem, and voiced support for a bill aimed at stopping drugmakers from withholding samples of their medicines from generic manufacturers. Wyden asked the executives whether they would support legislation banning the ‘spread pricing’ practice in Medicare and Medicaid, where PBMs are paid partially based on the difference between the sticker price and the negotiated price. Executives from CVS, Prime Therapeutics, and Humana said they would support such a plan, while Steve Miller from Cigna said that they would support it if it “becomes the market standard.” John Prince from Optum said the company is neutral on the idea, and noted that it already does not use spread pricing in Medicare. Although the talks seemed inconclusive, Grassley said that their next step was to “work with committee members to develop policies to help Medicare and Medicaid patients and protect taxpayers”. “Our goal is to end this secrecy, get to transparency,” he told CNBC in an interview, hinting at what form legislation might take. Earlier this month, Express Scripts, which is owned by Cigna, announced a plan to cut patient co-pays for insulin products at $25 per month ahead of the hearing, as pressure particularly mounts on insulin pricing practices.